Whether you're replacing an air conditioner in a home or installing one in a new construction, you need to know that you're getting the highest quality workmanship possible. At Cooper’s, Inc., our professional air conditioning services team can install any kind of air conditioning system with high quality workmanship and we'll always guarantee that your air conditioner is totally reliable and completely functional. All of our AC service contractors in Topeka are licensed, trained, and experienced professionals who will be able to provide you with an excellent air conditioning installation services and guarantee your complete satisfaction with our work. Our HVAC contractors have worked with all kinds of different air conditioning system, so no matter what brand or model of AC you're working with, we'll be able to provide you with a great installation. We'll make sure that your air conditioner is perfectly installed and able to run as efficiently as possible so that it can improve the comfort of your home and lower your monthly energy costs. 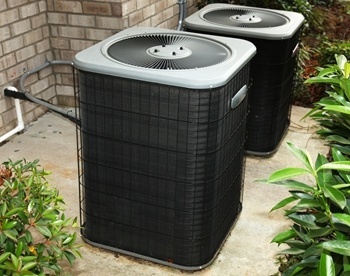 Give us a call today to schedule your air conditioning installation, and we'll be looking forward to working with you. Keeping your home comfortable is a major priority, so when you need to have any part of your home's heating or cooling systems worked on in any capacity, you need to know that you're working with a professional who you can trust to get the job done well. Our air conditioning contractors have years of training and experience, and we'll always be able to ensure that your AC is properly installed and running well from the very beginning. Our air condiitioning company has a team of AC service experts that can take care of any air conditioning installation job that you need performed, and we'll be able to handle every aspect. We can remove your older air conditioning system, and we can modify your ducts if it's necessary for the job. From the initial steps through to the completion of the installation, we'll take care of all of the work. We'll makes sure that your air conditioner can keep your home cool and comfortable throughout the warmer parts of the year. For quality air conditioning installation services in the Topeka area, please call Cooper's Inc at 785-267-4100 or complete our online request form.